Any players from the previous year who were selected to travel to Phoenix from the Region IV ODP Championships must register for tryouts and pay the registration fee. Players are not required to attend the open tryouts, but must attend the call back tryouts to be considered for the final pool. Registered players will be notified of the call back tryout dates and location. **This in NO way ensures the player will make the final player pool for this year's cycle. Players have the opportunity to be selected from the open tryout into the final selected pool of players per age group. The open tryout ensures that the staff’s identification process is as far reaching as possible. Birth Years 2001, 2002, 2003, 2004, 2005: Approximately 28 field players and 4 goalkeepers will be selected (less for Eastern WA). Birth Years 2006, 2007: 32 field players and 4 goalkeepers will be selected (less for Eastern WA). Birth Years 2001, 2002, 2003, 2004, 2005: The coaching staff will select a final travel roster in November; 16 field players and 2 goalkeepers to travel to the Region IV ODP Championships. Travel rosters will be announced by individual coaching staffs. 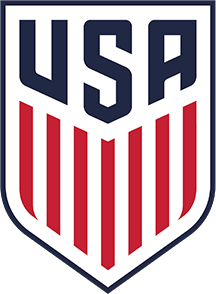 Birth Years 2003, 2004, 2005: The coaching staff will select a final travel roster in May; 16 field players and 2 goalkeepers to travel to the Nike Friendship Cup. Travel rosters will be announced by individual coaching staffs. All final pool players are eligible to be selected for the Portland Timbers Friendship Cup.